Company born in 1969 in a small lab, now is one of the leader company on the market. Proud of experience, expertise and commitment of professionals working in the company, Trafo Elettro invests every day to improve customer service, products quality and environmental impact reduction. 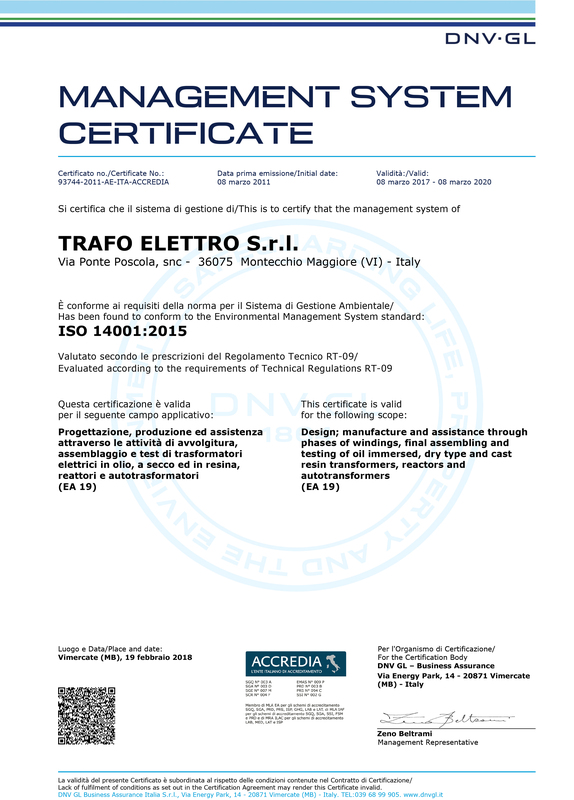 Trafo Elettro does not wish to be a simple good supplier, but a Safe and Reliable Partner. The motto of the company is Helpfulness, which it is translated into responsiveness and ability to customize the product. In terms of organization, Trafo Elettro has defined clear internal procedures that make possible to control the entire production process, technical-commercial process according to ISO 9001 standards. The internal quality system is completed in collaboration with university entities and other specialized external centers, as well as with the observance of the sector’s regulation, to guarantee a product of absolute reliability. All this is summarized with a wide range of transformers that the TRAFO ELETTRO can offer. The prerogatives of this company are: dynamism, competence and quality. 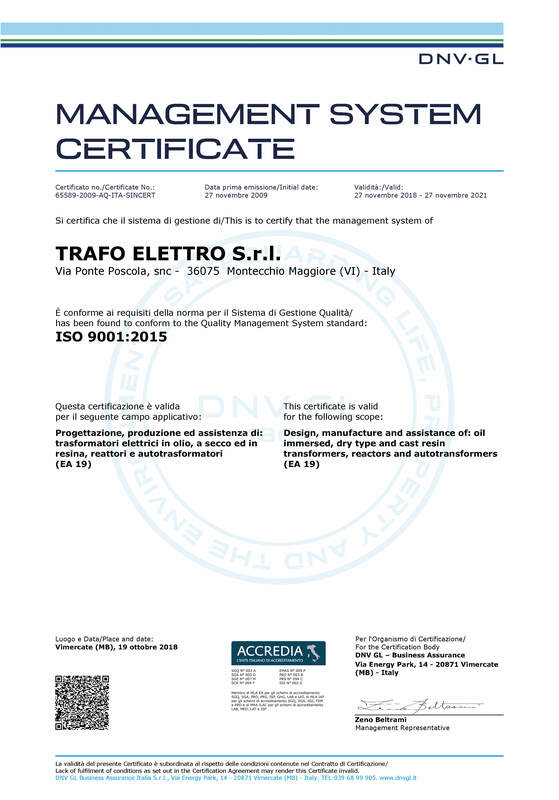 In its evolution, TRAFO ELETTRO decides to formalize its propensity for Quality with the voluntary adhesion to the principles of the UNI EN ISO 9001: 2000 standard, whose certification is obtained in July 2002, adopting a process approach, in order to increase the satisfaction of its customers and pursue a continuous improvement of the Management System. In 2009 began the process to implement an environmental management system according to the UNI EN ISO 14001: 2004 standard, as an expression of the will to reduce the negative environmental impacts of the activity carried out and ensure its correct management. With 2014, the company decided to undertake a process of implementation of a model (pursuant to Article 30 of Legislative Decree 81/08) of organization and management capable of having exempt effect of the administrative responsibility of legal entities, as per legislative decree June 8, 2001, n. 231, ensuring a company system for the fulfillment of all related legal obligations.